I’ve always had a passion for dahlias even at their most unfashionable. They remind me of the hats that heavily powdered aged aunts wore when I was a child. So I feel properly heartened to see that they’re once more in vogue, bringing welcome colour to so many of our plots and as @Saralimback pointed out last week on Twitter they make fabulous cut flowers. 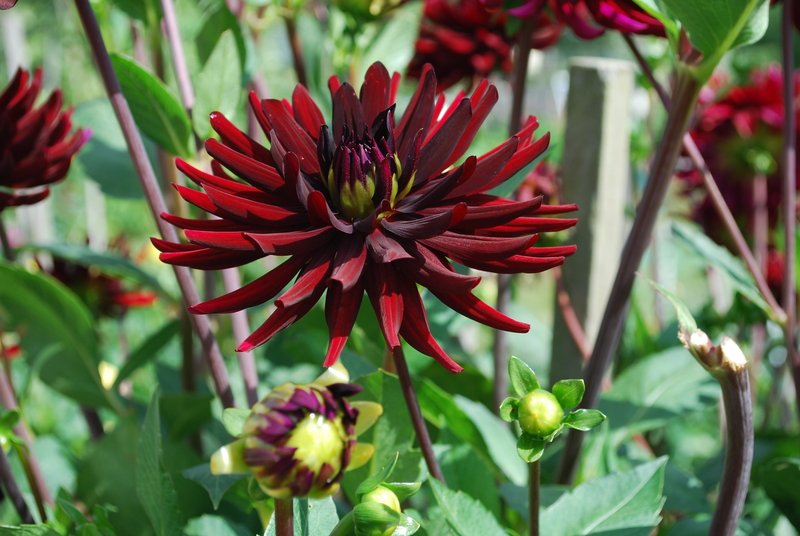 This one, Chat Noir, is a cactus variety and the colour of richest claret at its heart. It stopped me in my tracks last week when I saw it on Bob Godfrey’s plot. Cultivation information from the RHS here. 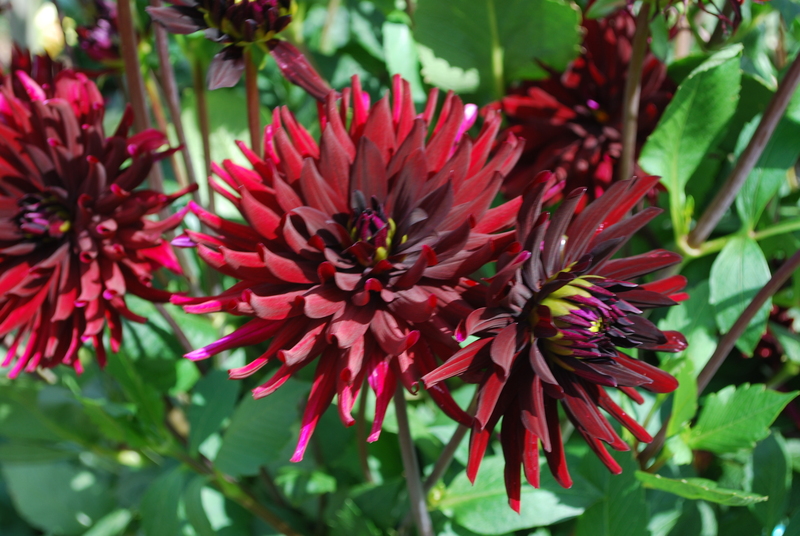 Beautiful Dahlia — I also enjoy that dark, almost black color. Thank you for taking the time to comment Kevin. This colour seems to be very ‘in’ at the moment.